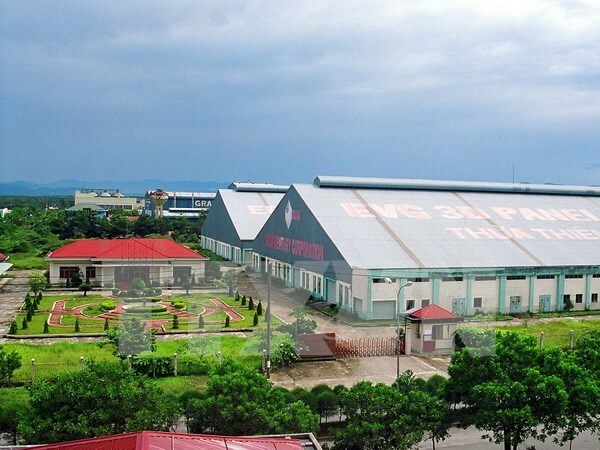 Thua Thien-Hue (VNA) – As many as 88 foreign direct investment (FDI) projects with a total registered capital of 2.26 billion USD have landed in the central coastal province of Thua Thien-Hue so far, making the locality the 6th most attractive destination for foreign investors in the central region. Large groups operating in the locality include Singaporean Banyan Tree Holdings Limited, HBI Group from the US and Charoen Pokphand (CP) Group from Thailand. The 850-million USD Laguna Lang Co resort complex, Banyan Tree’s first fully integrated world-class hospitality development in Vietnam, is among the standout projects in the province. The Royal Caribbean International Group also invested 5 million USD in the upgrade of Wharf No.1 at the Chan May Port, making the port able to serve large cruise ships like Quantum of the Seas and Oasis of the Seas. According to Nguyen Dung, Vice Chairman of the provincial People’s Committee, the province welcomed over 75,000 sea arrivals in 2015 and expects to receive 150,000 sea-bound tourists to visit the former imperial Hue city through the Chan May port this year. The province plans to call for further investments to preserve the ancient imperial relic site in Hue city and develop the Lang Co-Chan May bay. Along with building comprehensive infrastructure, the province has streamlined administrative procedures under a “one-door” mechanism to encourage further foreign investment in the locality. It is also focused on calling on all stakeholders to complete infrastructure in big projects with competitive products like the garment support industrial park, Chan May-Lang Co economic zone and Bach Ma National Park. The overriding priority has been given to the study of additional suitable mechanisms and policies to lure foreign investors, especially large and strategic enterprises like Bitexco, Vingroup and Bayan Tree.